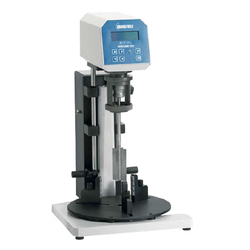 - Sophisticated Rheometer with continuous sensing and display. - Calibrated range: 100-2000 C.
- Accuracy: control temperature to within +-0.50C. 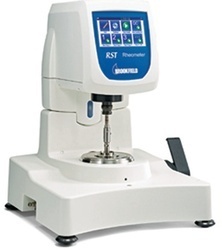 Important & Integral are device to confirm the Rheological properties of each compounded rubber batch. - Stand-alone programming: Enter data, temperature requirements, start program, see results on built-in display. - Computer programmable using optional Rheocalc 32 software lets you control all aspects of rheological testing directly from the computer. Our laboratory, along with our state-of-the-art Continuous Vulcanization Line, are responsible for the quality EPDM and Silicon gaskets that we manufacture. We guarantee - no cracks, no discolouration, and no loss of tensile for atleast 10-years.